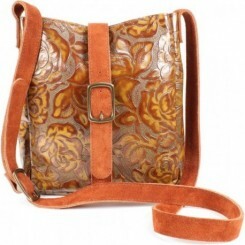 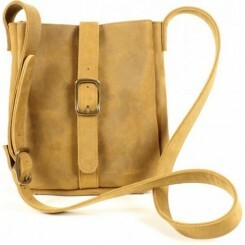 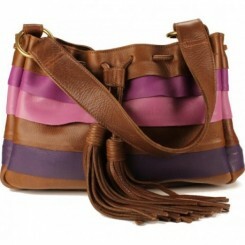 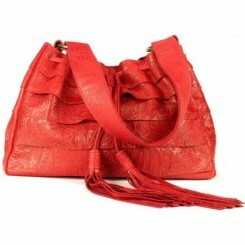 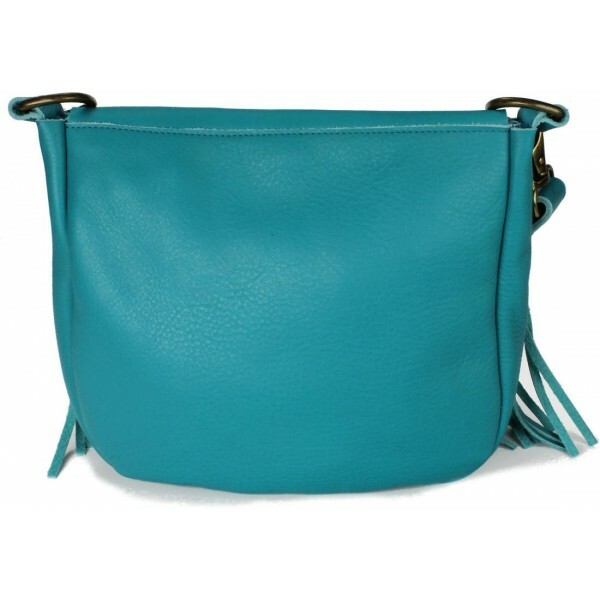 Itasca Leathergoods is proud to introduce the Beaucoup handbag. 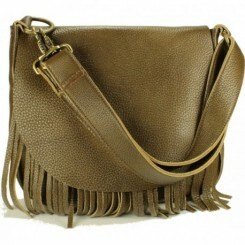 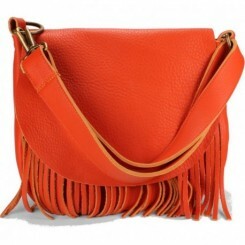 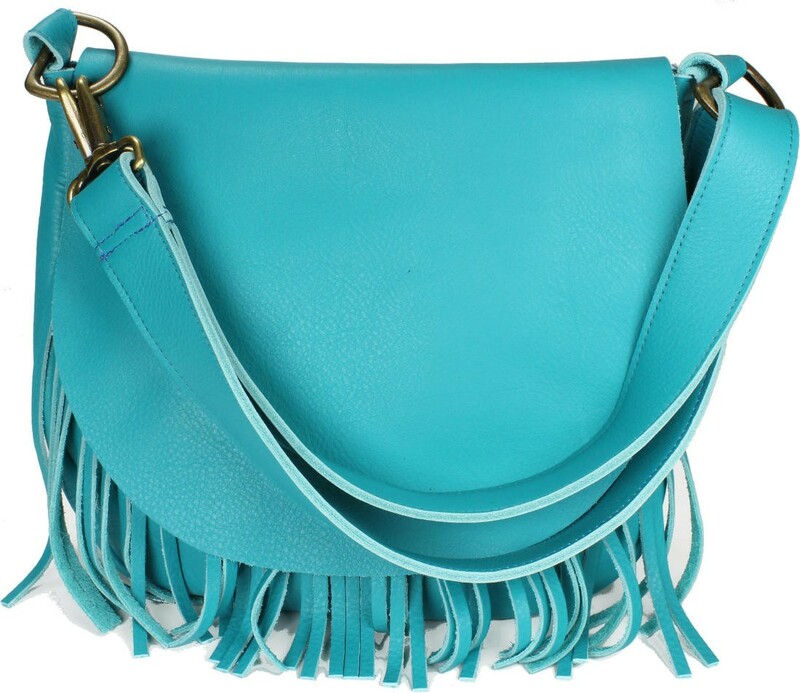 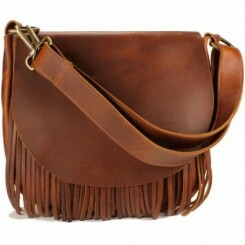 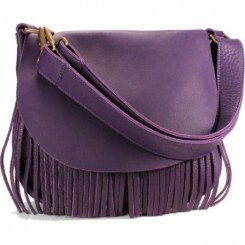 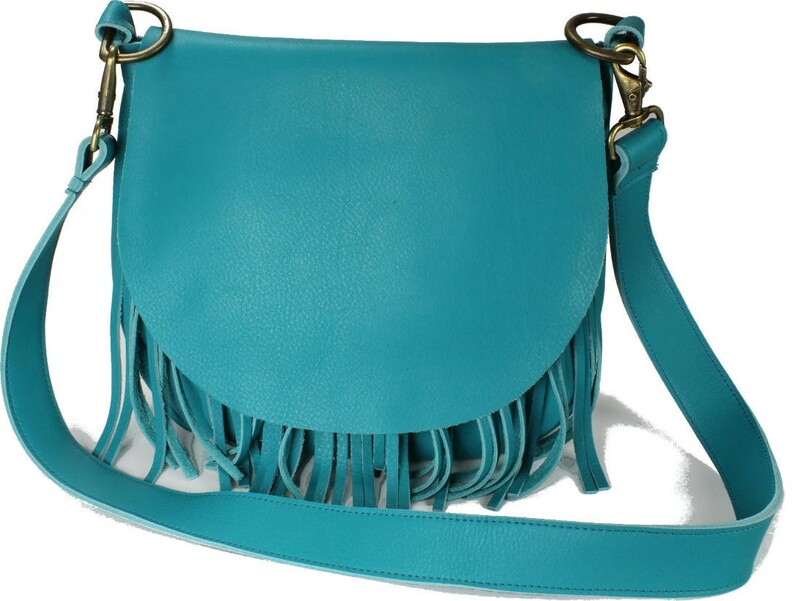 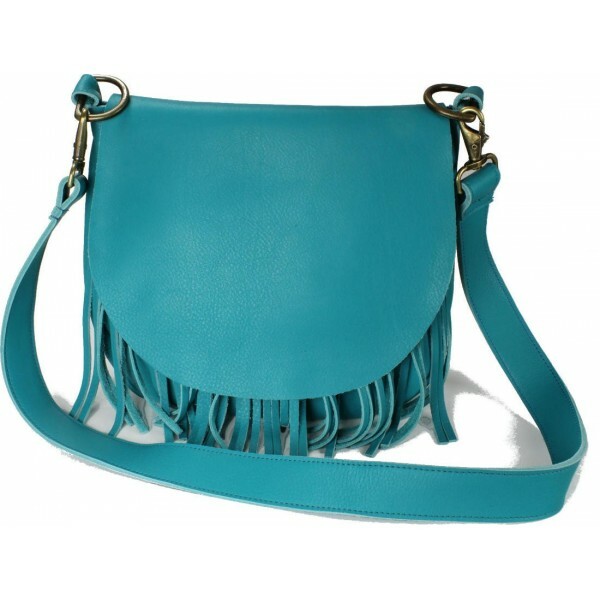 We particularly like its style the origins of which are an old-fashioned saddlebag updated with an added layer of fringed leather under the flap closure. 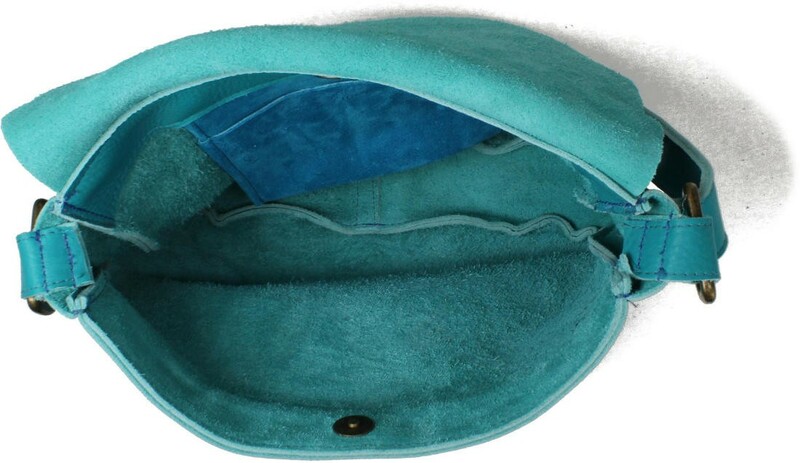 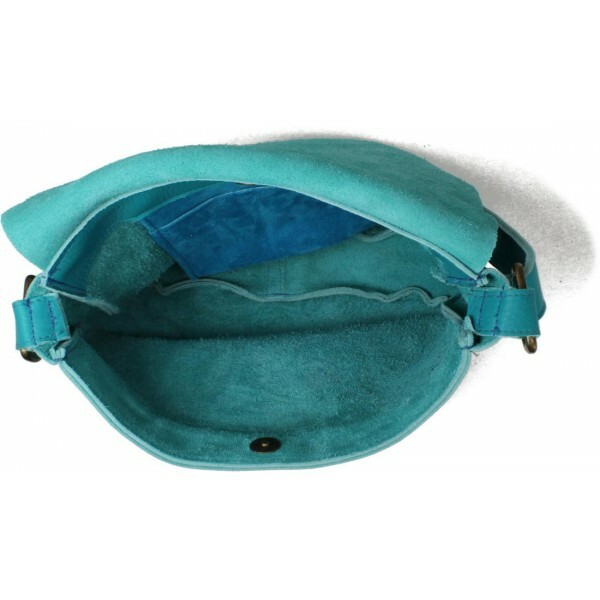 Inside is one compartment and it includes a side pocket in our signature turquoise color - perfectly sized for cell phones keys or anything else you need to access quickly. 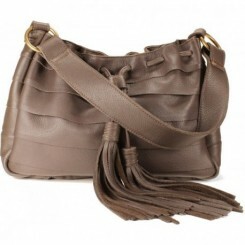 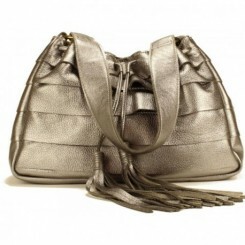 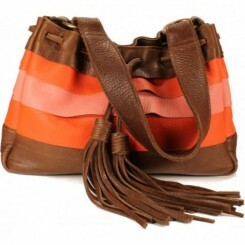 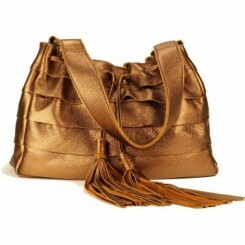 The bag secures nicely with a magnetic closure with the added security of the flap. 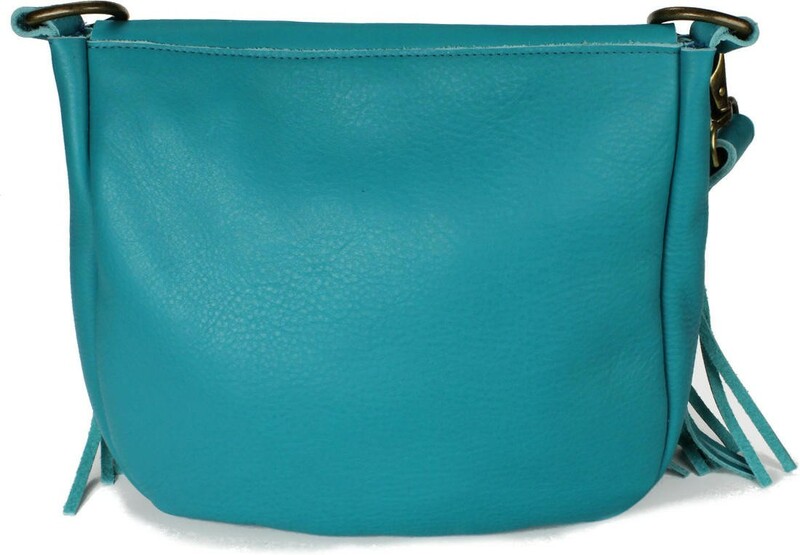 We particularly like the convertible nature of the bag - as delivered it acts as a shoulder bag but you can easily extend the handle to full length if you prefer to use it as a crossbody. 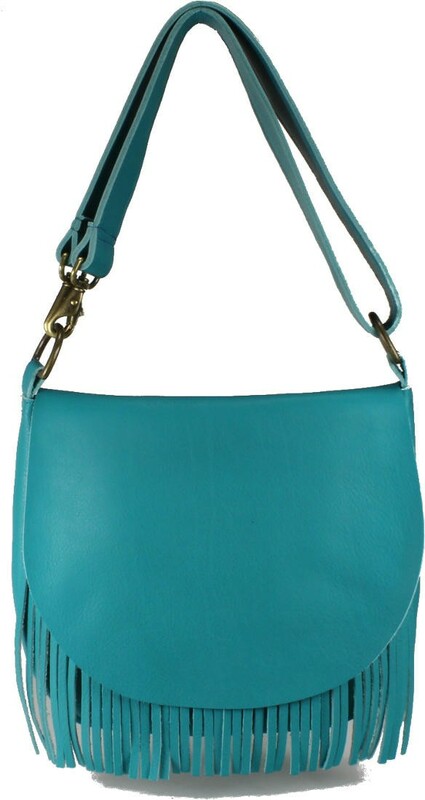 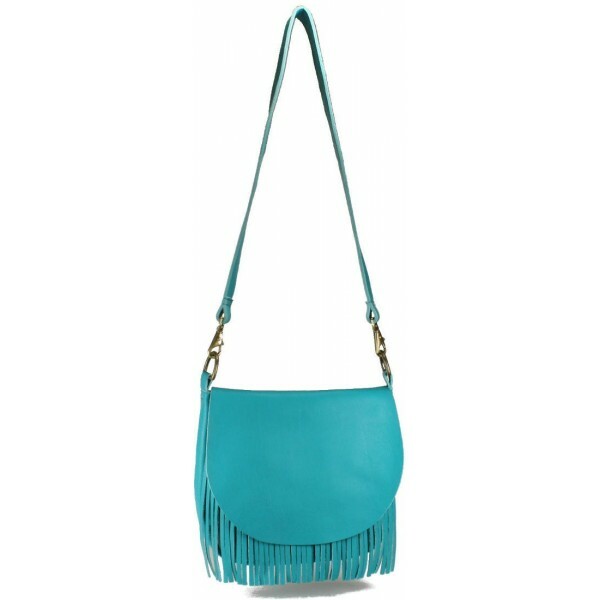 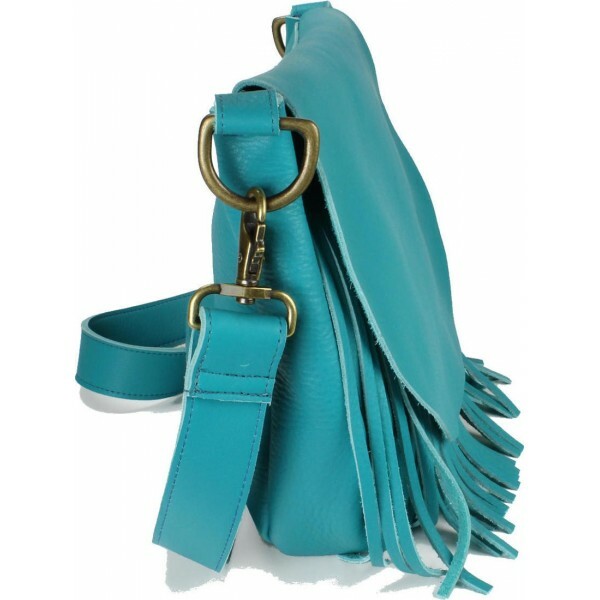 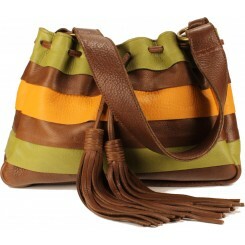 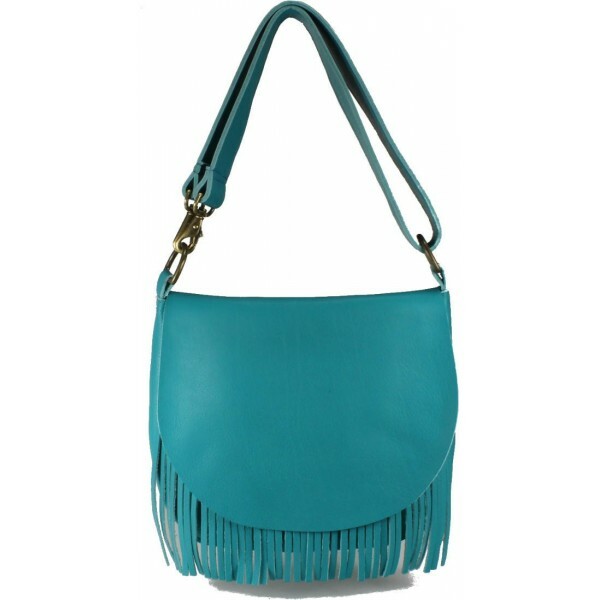 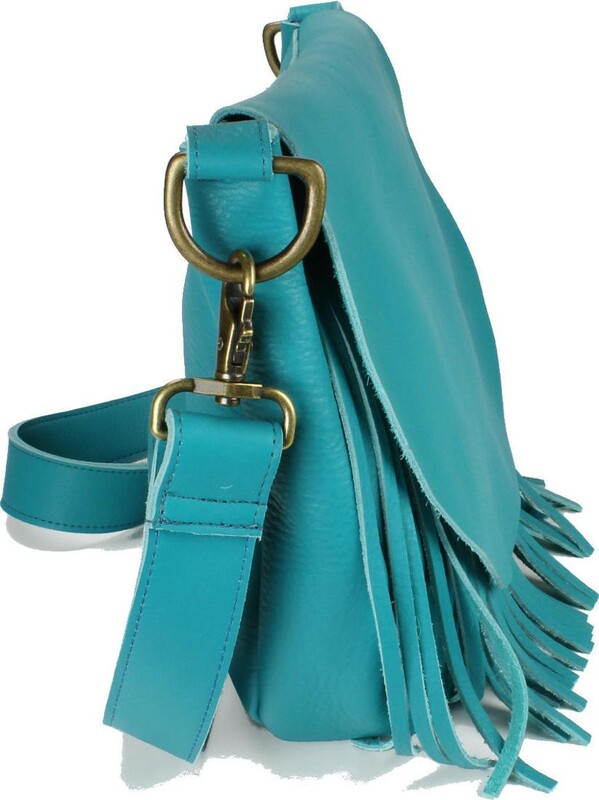 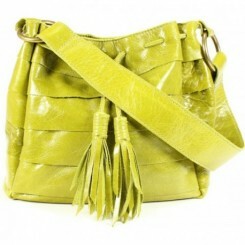 This bag is shown in Jade a custom color exclusive to Itasca Leathergoods - and one of our favorite colors. 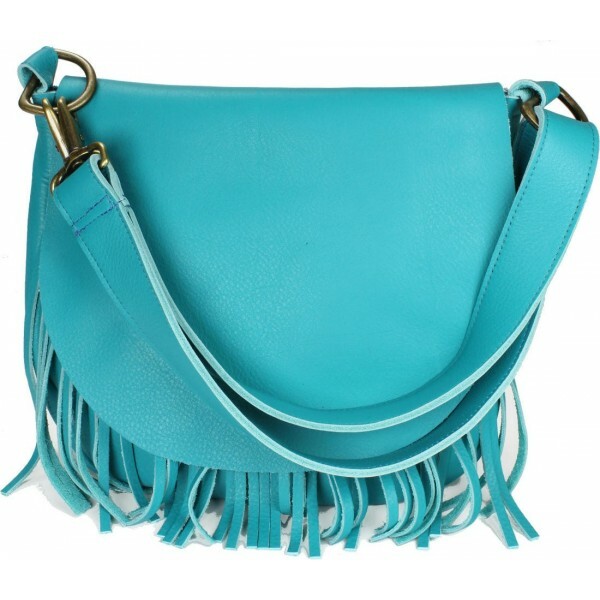 It coordinates beautifully with our women's Cota mocs in Groovy or Tourmaline. 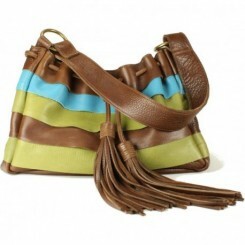 They're handcrafted one at a time and just like everything else we sell they're made in the USA!